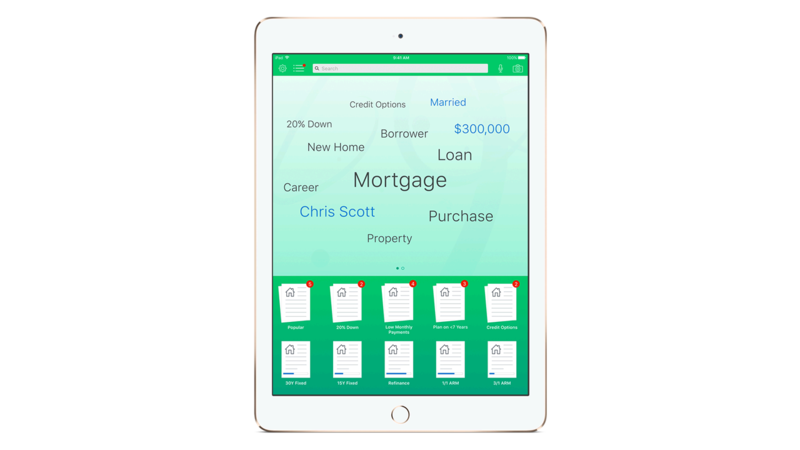 IBM MobileFirst for iOS Loan Advise empowers mortgage officers with conversational prompts to initiate discussions with prospective clients and make recommendations on "best fit" loan product offerings. Comparative loan offerings can be visually shared enabling the mortgage officer to further qualify a prospect’s specific requirements and quickly initiate the loan application process. Enables your mortgage officers to effectively prospect for clients by providing conversational prompts and recommendations for loan products. Provides comparative loan offerings that can be visually shared enabling your mortgage officer to further qualify a prospect’s specific requirements and initiate the loan application process. Enables your mortgage officers to quickly access contact records and initiate calls using voice-activation to maximize drive-time productivity.